Unified Communications Cost Benefit Analysis | 8x8, Inc. So you're thinking about switching from your old PBX telephone system to a new unified communications system? And as with most new products, the first thing you're going to need to do is to find out exactly what benefit there is to moving over to the new system. Running a unified communications cost benefit analysis for service providers that you're comparing can help in deciding which to choose. A cost benefit analysis makes choices more apparent, and the result of a CBA is decidedly quantitative and show exactly the information you need to make the best choice. So What Is a Cost Benefit Analysis Exactly? Essentially, it compares the benefits of a solution with its associated costs. From this, you'll know if the solution provides any benefit. Next, you can easily compare several solutions and determine which one provides the highest benefit. Whichever offers the highest benefit is the one you should choose. List the different options available (alternative scenarios). Calculate benefits and cost for each option. Calculate the cost benefit ratio. For step two, we perform cost and benefits calculations. Benefits might be another way of saying sales, depending on the scenario. How do we compare these two solutions since there is a mix of quantitative and non-quantitative values. Looking at the purely monetary cost, we have $850 vs. $450. The highest CBR presents the best solution. In this case, moving to a unified communications solution. This example demonstrates how difficult it can be to perform an accurate cost benefit analysis. It will be only as accurate as the information fed into it. 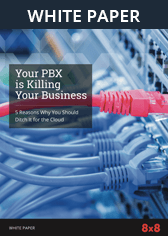 Looking back at some of the PBX benefits, we have, "complete control over privacy and security." But how can you quantify that? It probably can be quantified but then you have to consider the confidence you might have in that quantification. Next for PBX benefits is "loss of internet doesn't disable phones." On the flip side, the UC solution list that it isn't affected by a power loss. Each of those might be considered a lost day of sales and therefore cancel each other out. In this case, the two options are very close but option 2 is better because of the higher CBR. A CBR is based purely on quantifiable results. When two options have close CBRs, there is something to be said about the benefits that you can't really quantify. You may decide that certain benefits outweigh a slightly higher CBR. It isn't necessarily wrong at that point to choose the lower CBR. You don't want to commit to a new communications system that may not provide the exact types of services that you need in order to meet your sales and customer service goals. That is why when you are deciding if your company should move to a unified communications system, you have to consider many things, those that are quantitative and those that are more black and white. In order to get to the bottom of both those arenas doing a cost benefit analysis quantifies the best option you may have among several.